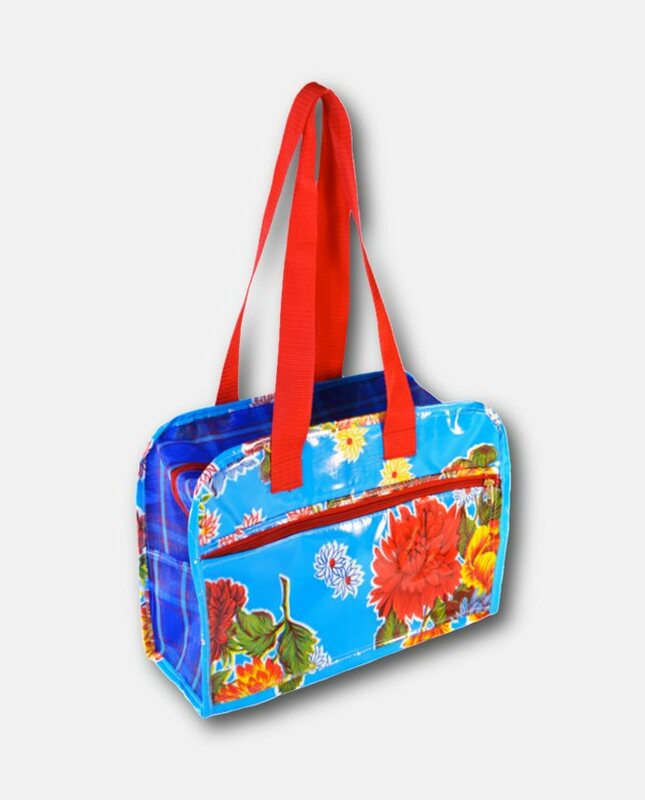 Mexican oilcloth and nylon long handle bag. Outside and inside pockets. Assorted models. 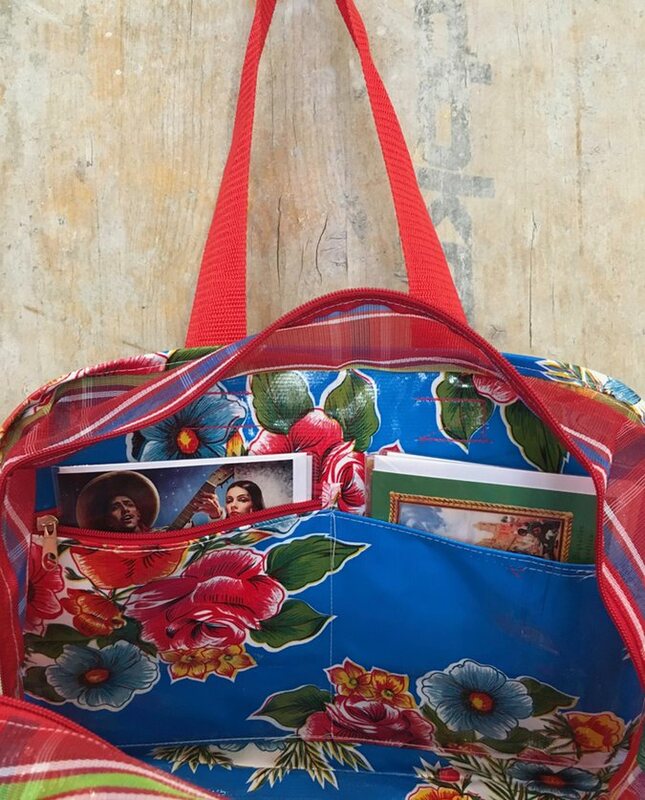 Long handlebags in Mexican oilcloth, nylon sides. Large outside pocket with zipper. 2 inside pockets, one with zipper. Assorted models.